Take a boat ride over calm waves to this remote island that is part of Bali’s nature reserve, or go under to enjoy snorkelling and diving with superb year-round visibility. 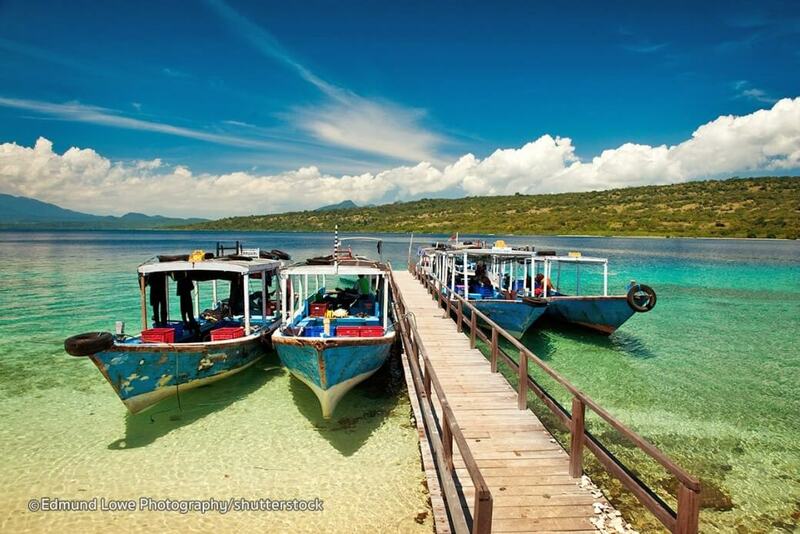 Menjangan Island is one if the island’s most popular dive sites. Overland, the savannahs are home to the rare Javan rusa deer, locally known as ‘menjangan’ (Cervus timorensis) – hence the island’s name. Under the waves are coral gardens teeming with marine life. The impressive Segara Giri Dharma Kencana temple dominates the hilly north-eastern shore with its towering seaward-facing Ganesh statue.